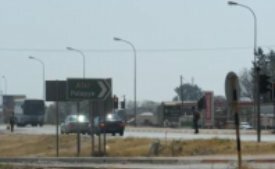 Palapye is Botswana's 'meeting place' as the highest number of people travelling within Botswana especially in the east pass through the place. Palapye is a town with a population of 60 000 people most of whom are Bangwato, Batswapong and a mixture of Botswana ethnic groups who live in Palapye by employment. You can take your time to read about Old Palapye, which is a heritage site 15km outside Palapye. Old Palapye and Palapye are two separate places. The town hosts the Morupule Power Station which is the country's principal domestic source of electricity. It has grown as an economic active town with the establishment of BIUST or Botswana International University of Science and Technology, a modern university that caters for Africa's technology and engineering training needs. Highly active economic activities in construction have led to economic growth and population increase in Palapye, making the place a viable market for business. The place is growing in stature as a hospitality centre evidenced by the presence of world standard lodges to meet accommodation needs for traders and tourists.